The elegant Double Ruggle Ribbon holds the perfect bow! 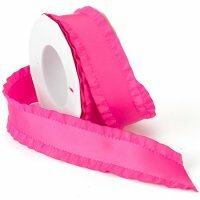 Morex Double Ruffle Ribbom can be used to embellish garments as well. 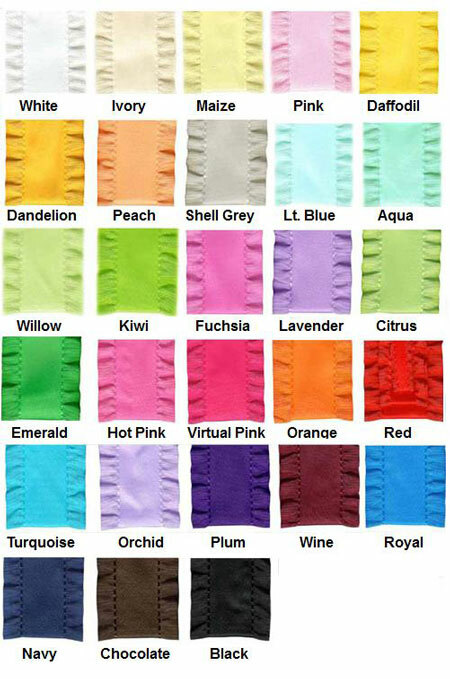 Widths: 3/8", 7/8" 1 1/2"
....Please select Aqua Black Chocolate Citrus Dandelion Fuchsia Ivory Kiwi Lavender Lt. Blue Maize Misty Turquoise Navy Orchid Pink Plum Red Royal Blue Shell Grey Virtual Pink White Willow Wine .